There are many tools that we have at our disposal that can help you maintain your site’s content. You can keep your site current with the little changes that happen on a regular basis. We prefer a system called Perch - Perch allows us to ensure your code is as slick as possible, without adding bulky plugins, widgets and other items that your site doesn’t use. 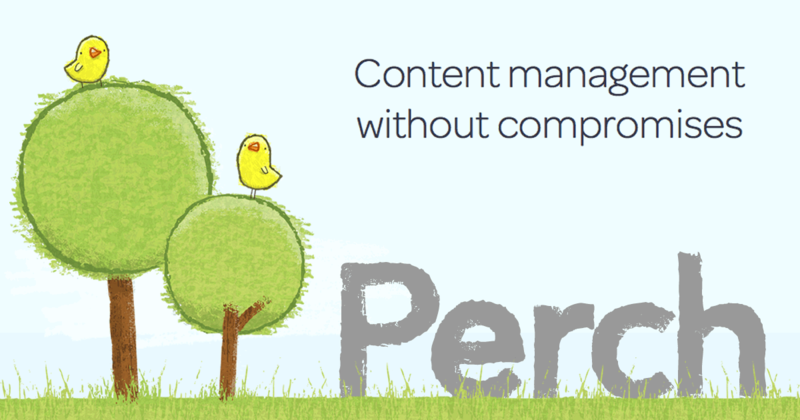 Perch is designed for content management from the ground up. It’s not a blogging tool that happens to be used for content management. This keeps the admin experience streamlined and task focused. Contact us to see the difference Perch can make over a tool such as WordPress. If you require a larger, more complex solution, we’ve partnered with XM Media to deliver a completely customized solution. "Perch is designed for content management from the ground up. We’re not a blogging tool that can be used for content management. This keeps the admin experience streamlined and task focused."